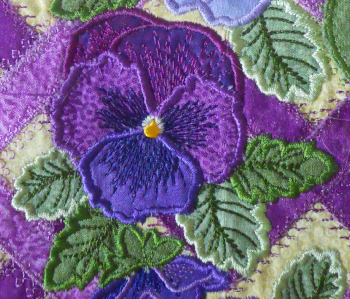 This pansy wreath is why I made the Interlock Blocks quilt top. I have split the design in 2 parts to fit most hoops. Also included are a single bow and some pansy singles to give you more creative variations. 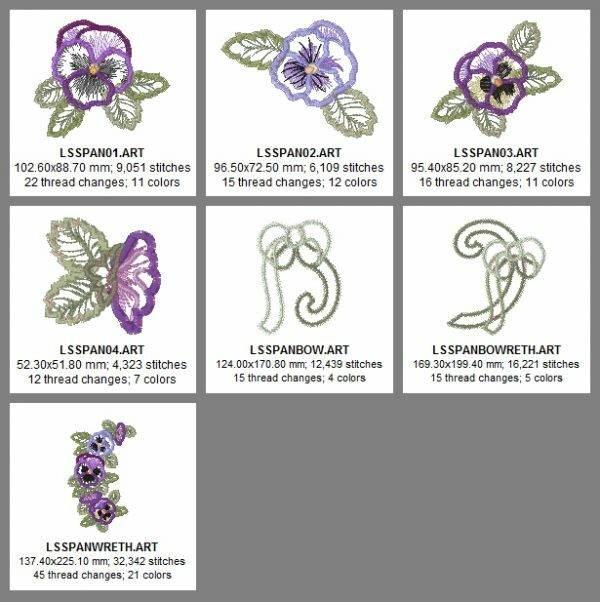 All of these designs are appliqué designs.